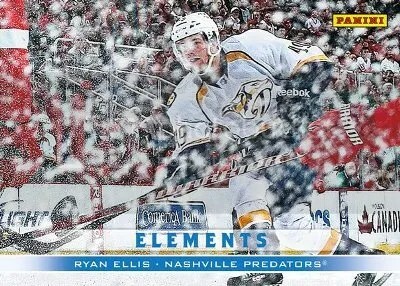 Series 1 will contain Strata cards. Topps decided to spill their guts on 2014 Topps Series 2 Baseball. We haven’t even had the opportunity to process Series 1 yet which comes out January 29, but Series 2 looks to be more interesting. I usually never pay that much attention to their flagship brand. To be honest, it never really interests me and has too many base cards. 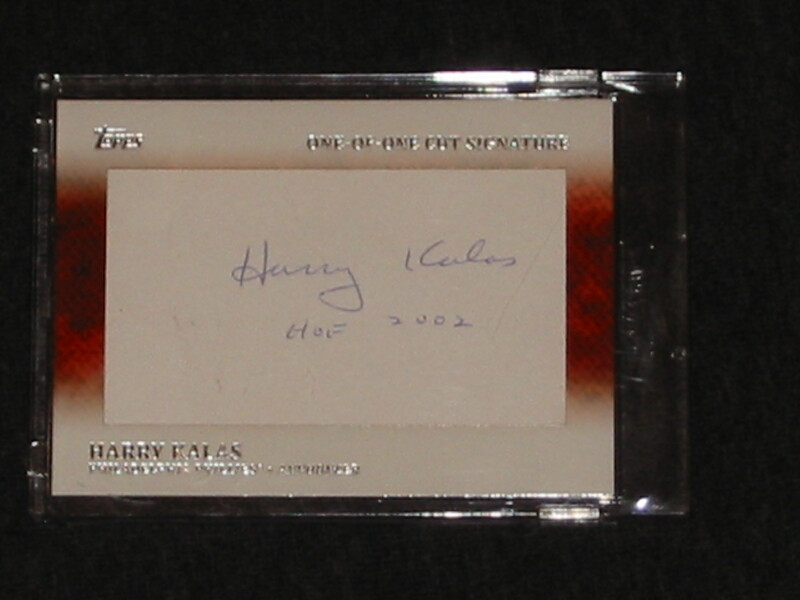 Although I can’t complain too much since 2013 Topps Series 1 Baseball contained the Harry Kalas One-Of-One Cut Signature that I own. Just out of pure curiosity, I decided to take a look at what Series 2 has in store for collectors. 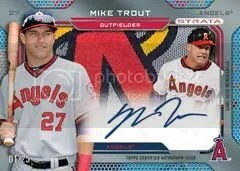 For the most part, its the same old same old – autographs, memorabilia, parallels, and commemorative relics. Before blacking out of boredom, I hit on Strata inserts. Last year Topps wowed football fans with their Strata Clear Cut autographed memorabilia cards. In fact, I would say that they were some of the most well designed cards of the year. 2013 Strata Football is slowly working its way out onto the secondary market, and I’m sure it will be another hit. By the looks of it, baseball fans will get a taste of Strata within Series 2. As of right now, it doesn’t look like it will be a standalone product of its own like football. Collectors busting boxes of 2014 Topps Series 2 Baseball won’t be finding these Strata inserts easily. 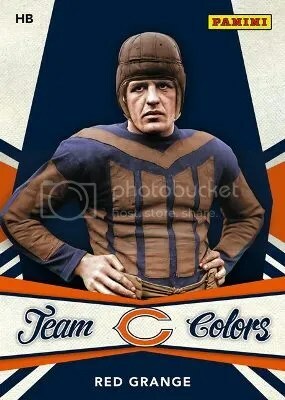 These will be hobby only with a mixture of living and deceased players. It sounds like the living players will be limited to 25 copies while the deceased players will be 1/1 cut signatures. I don’t think we’ve ever seen a shadowbox style card accompanied with a cut signature. Why do collectors enjoy these cards so much? Because they’re designed extremely well. 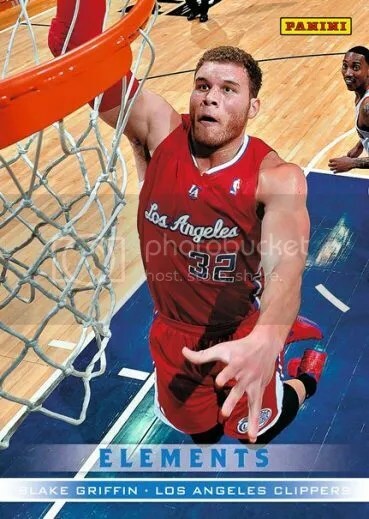 They contain a jumbo piece of memorabilia without sacrificing the player’s image. 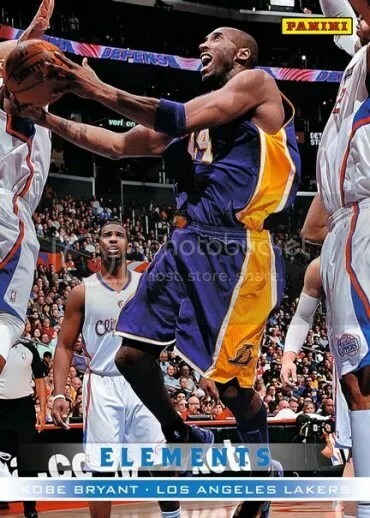 Combine that with a swooping piece of clear plastic over the front signed by the player and you have one hell of a card. Most jumbo relic cards don’t look anywhere near this good. It takes a lot for me to get excited about something within this great hobby of ours. We tend to see the same stuff presented to us under new names all the time. Innovation mixed with great card design has just gone right out the window for some manufacturers. Rarely do we see something new that makes us stop and look. Let’s hope for a few Phillies in these Strata inserts. 2014 Topps Series 2 Baseball is due out in June. 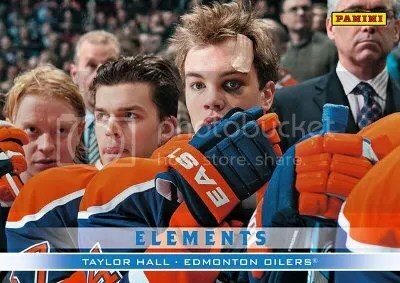 Panini is breaking out some great photography for their Elements insert set found within their Father’s Day promotional packs this year. Throw some on-card autographs on these bad boys and you have one hell of a product. I believe Panini is the king of promos. I visit them the most when they have their promos going on at the National Sports Collectors Convention. 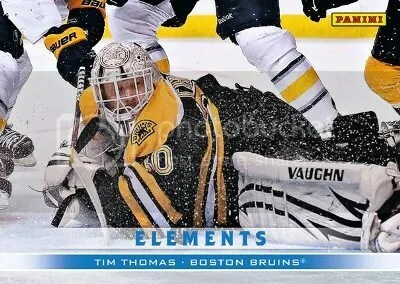 Topps also did a great job in 2011 Series 1 with their 10-card insert set titled “History of Topps”. I know collectors busting boxes like this aren’t looking for big “hits”, but in today’s hobby people don’t always look at the base cards. These cards are worth taking a look at even though they aren’t worth a ton. I love cards that educate collectors on card history. The 90’s were filled with some of the nicest inserts and parallels the hobby has ever seen. In those times, pulling a card serial numbered to 100 could easily classify as your “Pull of the Year”. 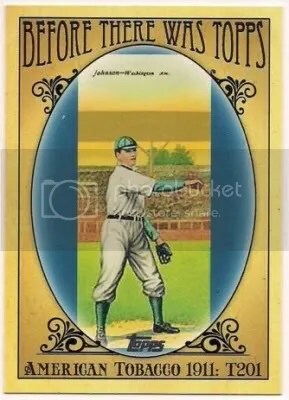 But as time went on and collectors became more interested in relics and autographs, card manufacturers lost their focus when it came to design. Its almost as if manufacturers thought collectors would purchase anything as long as the card contained a relic or autograph. I think it would be cool to see someone re-insert these popular 90’s cards into newer products. Usually the answer would be to make more cards like them featuring updated players, but I don’t think that’s the answer. Imagine flipping through a pack and pulling a rare ’93 Topps Finest Refractor. 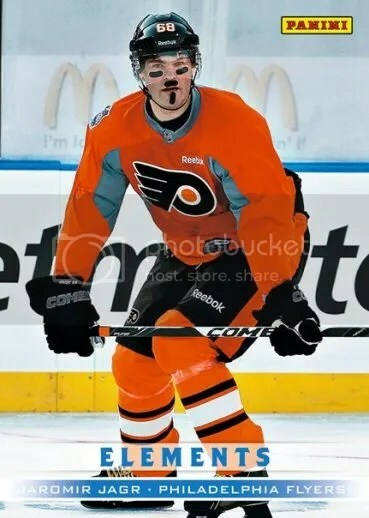 I think it would be awesome! Now lets kick it up a notch. Perhaps we could put a little buyback twist to these cards. 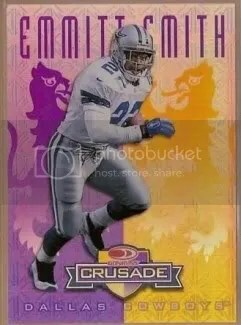 One of the most popular sets from the 90’s are the Donruss Crusade inserts. Player collectors go nuts over them spending immense amounts of money for something they have been searching years for. What if a few of them were signed? That is something I would like to see. 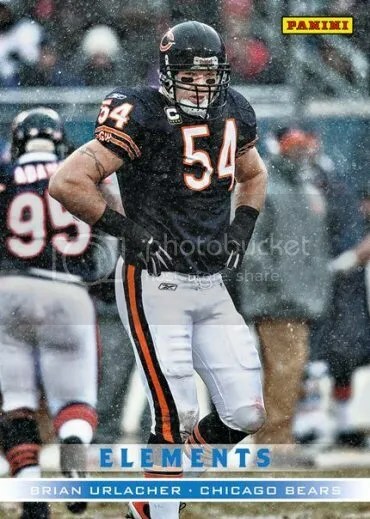 Which 90’s cards would you like to see re-inserted and/or made into buyback autographs? The color red is very popular within the sports card industry. Depending on the product, pulling a parallel with a red color could mean you have a high numbered card or a low numbered card. 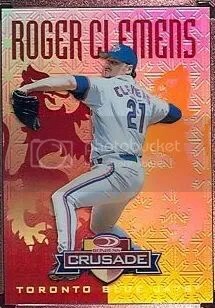 In 1998 Donruss introduced the hobby to their now famous Crusade insert set. These cards can be found in different colors such as Green #’ed/250, Purple #’ed/100, and Red #’ed/25. Now back in 1998 pulling a card that was serial numbered to only 25 copies was a big deal, even if it wasn’t autographed. A card numbered to 25 in ’98 was like pulling a 1/1 in 2008. The Donruss Crusade inserts caught on like wildfire, and still hold tremendous value to this day. The Red Donruss Crusade inserts command the most money and can be hard to find if you’re a player collector. 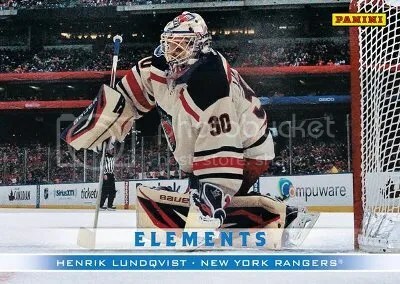 They look outstanding and are one of the best card designs of the ’90’s. 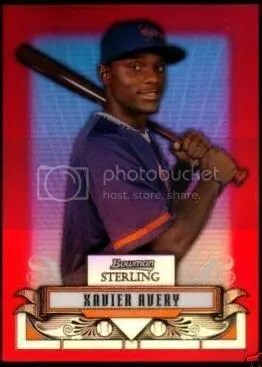 Topps introduced Bowman Sterling to collectors in 2004 and with it came their red refractors numbered 1/1. Topps has included red refractors into each of their Bowman Sterling products because they know collectors are always on the hunt for them. These red refractors can be of rookies, first year prospects, and veterans. These also can come autographed and/or contain a relic. Which one wins the battle of the Insane Inserts? 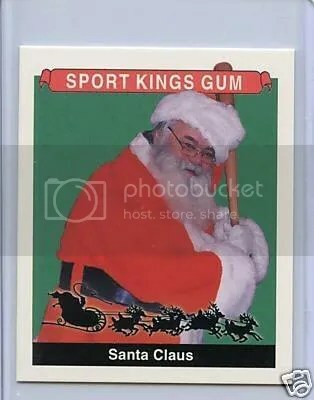 If you are an avid reader of The Cardboard Connection, you may have seen my story on Santa Claus cards. 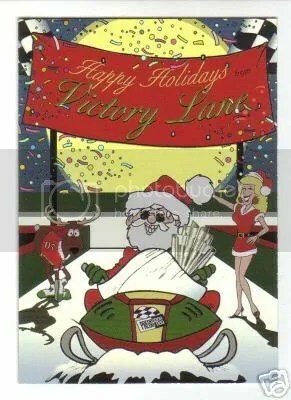 There are a ton of Holiday cards made by some of the hobby’s biggest card manufacturers. 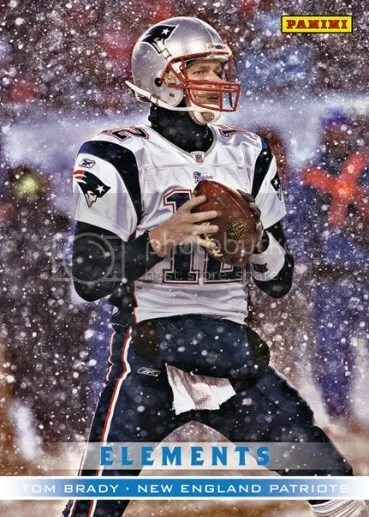 Here are a few Holiday cards that I find intersting. 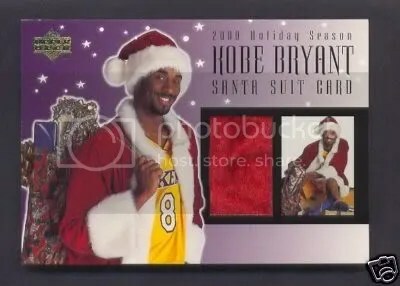 In 2000, Upper Deck produced a few Holiday cards featuring athletes dressed in a Santa costume. Each card comes with a swatch of costume inside the card. 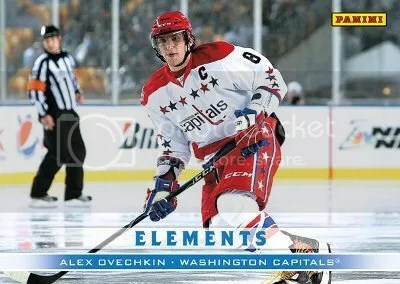 These were only given out to Upper Deck employees, but its not uncommon to find one up for sale. 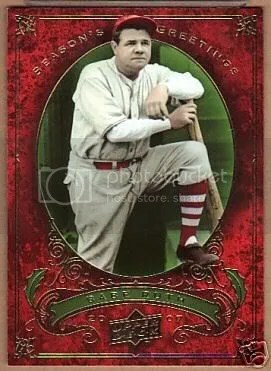 This Babe Ruth card was sent to collectors on Upper Deck’s Holiday mailing list. I like it because the card features Ruth in a classic pose, and the card has a nice red border to it. These cards were also sent to dealers and measures 4 3/4″ x 6 1/4″. 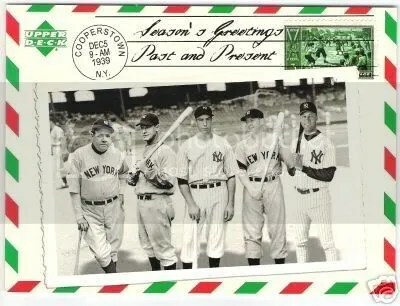 The card is designed to look like a postcard sent from Cooperstown, NY on Dec. 5, 1939. The front of the card features Babe Ruth, Lou Gehrig, Joe DiMaggio, Mickey Mantle, and Derek Jeter. 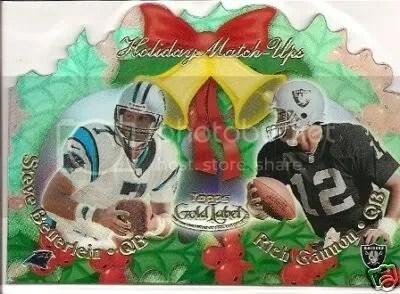 Back in 2000, Topps Gold Label created an insert set called Holiday-Matchups. Each card features two players that apparently make good match-ups for that time. Every year Press Pass comes out with a Holiday card or set for collectors. They always feature Santa racing his sleigh.